Akebono Brake Holds Ceremony to Mark Completion of Ai-Ring Proving Ground｜News｜Akebono Brake Industry Co., Ltd.
Akebono Brake Industry (Chairman, President & CEO: Hisataka Nobumoto; Global Head Office: Chuo-ku, Tokyo; Headquarters: Hanyu City, Saitama Prefecture) held a ceremony on October 27 to mark the completion of expansion work at its Ai-Ring test course in Iwaki City, Fukushima Prefecture, which started in November 2013. 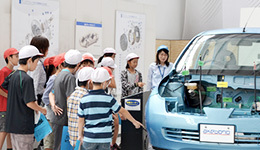 "Ongoing globalization has brought great changes in the automobile industry. Vehicles are continually evolving under the impact of electric engines, autonomous drive, and environmental friendliness, and we believe advances in AI will surely accelerate this process. To meet the rapidly changing needs of the global market, we have built new winding and various surface roads, as well as expanding our existing facilities. We aim to leverage the Ai-Ring facilities and our strengths as brake experts to create further competitive products with new value. In this way, we hope to contribute to the eradication of road traffic accidents and help end-users discover new aspects of driving pleasure." The proving ground was severely damaged in the Great East Japan Earthquake of March 2011. 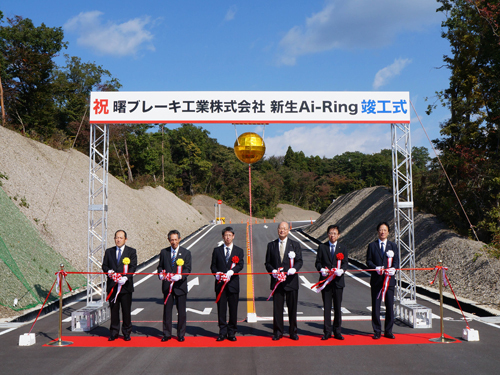 After restoration of the high-speed oval in an initial phase, the facilities were renamed "Ai-Ring" in December 2012. 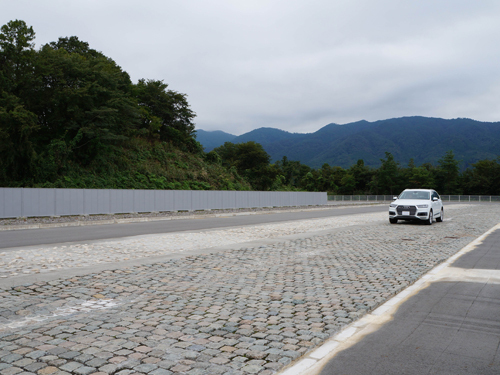 The second phase of work included repairing the low μ road and establishing new test slopes, winding and various paved surfaced roads, as well as installing new dynamometers and transferring NVH* measuring facilities to the Ai-Ring site. These new facilities will speed up brake development by making it possible to assess brake products in near actual conditions, and by performing both dynamometer and vehicle testing at the same site. Also, Ai-Ring will serve as a human resources development facility, allowing engineers to acquire driving skills and knowledge of vehicle structure and functions, and develop the necessary sensitivity to meet the needs of continually evolving automobiles. The trees felled during construction work have been turned into wood chips and have been spread on slopes to achieve 100% reuse and zero emissions. We have also installed solar power systems with a total power generation of 40kW on site. These not only provide power to the large-scale dynamometer and other areas where equipment with high power consumption are located, but also store enough electricity for emergency supply to network servers, lighting and outlets in the offices for approximately seven hours. 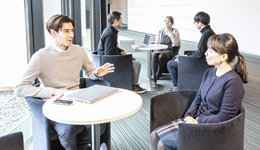 Looking to the future, by the end of 2017, Akebono aims to build a database that makes it possible to access data on evaluation results, whenever needed. Ai-Ring will be an important base to bring new and creative products which meet the needs of a constantly changing market. Construction: Nippo Corporation; Asset Facilities Inc.
Akebono established its first proving ground in Iwatsuki City, Saitama Prefecture, in 1967. 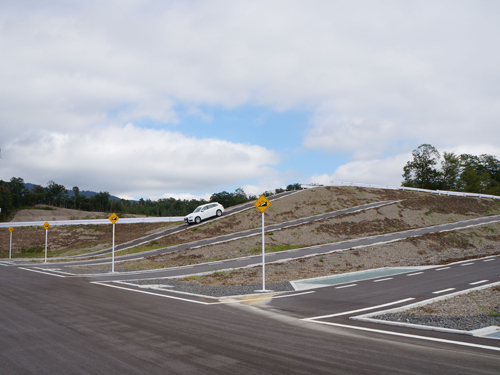 A new proving ground was established in Iwaki City, Fukushima Prefecture, in 1988. 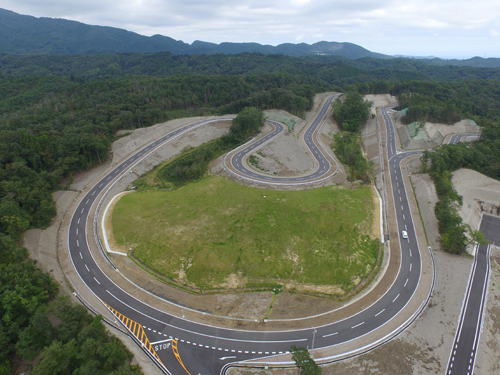 Ai-Ring is one of the largest test courses operated by an automotive parts manufacturer in Japan, and has facilities for a wide range of brake evaluation, from dynamometer tests to vehicle test evaluations. *NVH: acronym for noise, vibration and harshness (vibration due to uneven road surface). 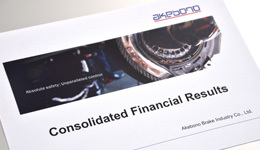 Akebono refers to and approaches the various phenomena that affect braking comfort as "NVH". Akebono Brake Industry Co., Ltd. (TSE:7238), founded in 1929, is a world leader in advanced brake and friction material development and production. 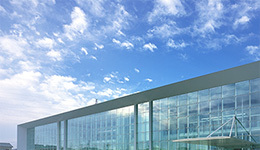 The Akebono Group operates R&D centers and manufacturing facilities worldwide, such as in Japan, the United States, Europe and Asia. 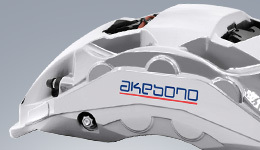 Akebono has been supplying and jointly developing brake systems with the McLaren Formula 1 team since 2007.